Borrowed from Italian or Spanish vino (“wine”). John came home drunk last night — he’d been at the vino again. Being the Italian or Spanish word for wine, this term is used in combination in various terms adopted from these languages; see Related terms below. From Spanish vino, from Latin vinum. Andrews, J. Richard. (2003) Workbook for Introduction to Classical Nahuatl, Revised Edition, University of Oklahoma Press, page 263. Borrowed from French vin, Latin vinum, Polish wino and English vine. From Proto-Finno-Permic *wińa. vina is found in dialects. Cognates include Ter Sami [Term?] (va̭nnai̭jᵃ) and Erzya [script needed] (veńaža). Compound of the first-person singular (eu) preterite indicative of ver, vin and the person personal pronoun o. From Latin vīnum, from Proto-Italic *wīnom, from Proto-Indo-European *wóyh₁nom. second-person singular imperative of veni. 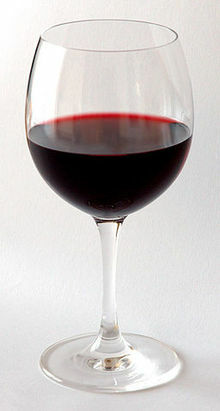 From Proto-Slavic *vino, a borrowing from Latin vīnum, from Proto-Indo-European *wóyh₁nom. From Latin vīnum (compare Catalan vi, French vin, Italian vino, Portuguese vinho, Romanian vin, and English wine), from Proto-Italic *wīnom, from Proto-Indo-European *wóyh₁nom. Formal second-person singular (usted) preterite indicative form of venir. Third-person singular (él, ella, also used with usted?) preterite indicative form of venir. “vino” in Diccionario de la lengua española, Vigésima tercera edición, Real Academia Española, 2014.